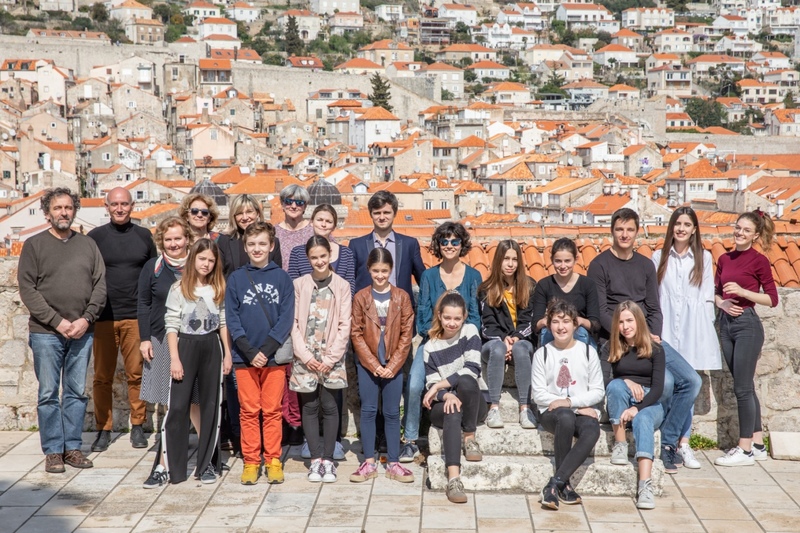 In collaboration with the Caboga Stiftung Foundation, the Dubrovnik Summer Festival has organised masterclasses which take place at the Luka Sorkočević Art School this week on the occasion of the 90th anniversary of the school, with the goal of investing in the future and development of young musicians from Dubrovnik. Masterclasses are held by István Varga,a distinguished Hungarian professor of cello and chamber music at the Franz Liszt Academy of Music in Budapest, and the award-winning young Ukrainian violinist Aleksey Semenenko, the winner of the Orlando Award for his performance with pianist Inna Firsova at the 67th Dubrovnik Summer Festival. Accompanists at the masterclasses are Russian pianist Firsova and Dubrovnik pianist Alberto Frka. The closing concert performed by masterclass students will be held on Sunday, 31 March at 18:00 at the Bunić-Kaboga Summer Villa. The Dubrovnik Summer Festival already organised three masterclasses for young Croatian and international musicians last summer in collaboration with the Caboga Stiftung Foundation, held by world-renowned musicians - violinist Stefan Milenkovich, tenor Krešimir Špicer and pianist Maria João Pires. The collaboration between the Festival and the Caboga Stiftung Foundation continues with the programmes at the Bunić-Kaboga Summer Villa - the concert of the New Trinity Baroque ensemble will take placeon 4 May, while the Zagreb Guitar Quartet and actor Duško Modrinić will perform the programme entitled Bersa and His Contemporaries on 18 May. Tickets are to be released shortly and they include organised transport to the venue. One of the best early music ensembles in the USA, the Atlanta-based New Trinity Baroque was founded in London by Predrag Gosta in 1998, and in recent years they have held a number of concerts in Croatia and the neighbouring countries. The ensemble consists of international artists and performs on period instruments. The Zagreb Guitar Quartet was founded in 1990, when Professor Ante Čagalj, a distinguished guitar pedagogue and artistic director, gathered some of his best students. Today, the quartet consists of Tomislav Vasilj, Krunoslav Pehar, Melita Ivković and Frane Verbanac. They have extensively performed in thirty countries on four continents – in the USA, Canada, Russia, China, India, South Africa, the United Arab Emirates – and in many European cities, such as London, Paris, Barcelona, Rome, Milan, Florence, Stockholm, Copenhagen, Brussels, Prague, Bratislava, Vienna, Graz, Ljubljana, Sarajevo etc. They were successful in several prestigious international competitions and absolute winners in three of them: they won first prizes in Tortona (Italy, 1996) and Viareggio (Italy, 1998) and the Grand Prix in Przemyśl (Poland, 1998).